First Transit: Reinstate Flynn “Tiny” Burke who was unjustly terminated! 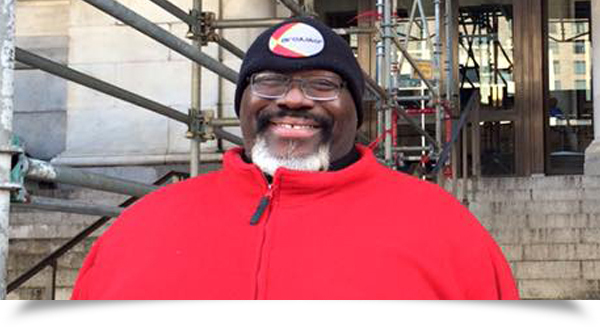 Over the past seven years, Flynn “Tiny” Burke has been a devoted DC Circulator bus driver and leader on workplace campaigns for living wages, paid sick leave, and better safety conditions. He has been a consistent advocate for his riders and fellow workers—calling out poor decisions made by First Transit, the company that operates the DC Circulator. This past Friday, Tiny was fired. This comes after a slew of attempts by First Transit trying to repress union activism and get back at Circulator operators for our successful campaign for living wages and safer buses. Tiny has has dedicated his heart and soul to ensure riders and members gets a fair shake. First Transit has trumped up charges to fire Tiny and suppress union activism. We demand that First Transit stop its culture of intimidation against its bus operators and return Tiny to employment! Sign the petition below to stand with Tiny and the right to advocate for co-workers and riders!